Ben Jackson is a 2L at Chicago Kent and President of CSDPS. Prior to law school, he helped grow an early-stage insurance startup to over $100m in annual revenues, founded two tech companies, and hosted a podcast that explored the future of public discourse. 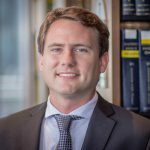 His work as a tech entrepreneur gave him a passion for the legal issues that small businesses face, particularly in the areas of intellectual property, data management, and privacy. He plans to start a legal tech company focused on helping the legal profession navigate the ever-escalating pace of modern innovation. Jo Ann Dominguez is a 2L part-time evening student at Chicago-Kent and Vice President of CSDPS. 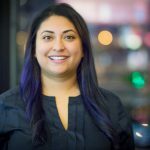 Jo Ann currently works in the in-house legal department of a leading cybersecurity company in Chicago and is interested in cybersecurity and data privacy. Hubert Zanczak is a 2L at Chicago-Kent and Treasurer of CSDPS. 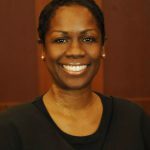 Before law school, Hubert worked as a paralegal at a civil litigation firm. He is interested in data privacy litigation and policy. Jack Etchingham is a 2L at Chicago-Kent and the current Director of Strategic Partnerships of CSDPS. Prior to law school, Jack spent three years as a technology consultant, where he specialized in helping companies manage the benefits and risks posed by the development, implementation, and maintenance of emerging technologies (IoT, social media, cloud computing). 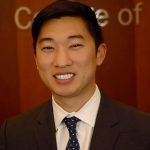 His work in the field introduced him to the pressing issues at the intersection of business, law, and technology, an area he plans to continue studying as a member of CSDPS. George Suh is a 2L at Chicago-Kent. He is the co-founder and current Vice President of CSDPS. This upcoming summer, he will be interning for the Department of Commerce, working on cyber security and telecommunication regulations. 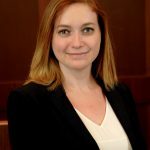 Gabrielle Aronovich is a 2L at Chicago-Kent College of Law, and is a founding member of Chicago-Kent’s Cyber Security and Data Privacy Society. Gabrielle is interested in the relationship between businesses and consumers as it relates to the collection, use, and protection of customer data, as well as the potential privacy and security issues that businesses must address in the digital age. 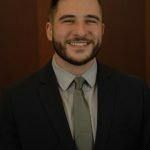 Matt Loffredo is a 2L at Chicago-Kent, and treasurer of CSDPS. 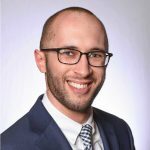 Before coming to law school, Matt worked in technical sales for 4 years, focusing on network and physical security. Keisha McClellan is a 1L at Chicago-Kent and a former television and marketing executive. She is interested in cyber security, data privacy, and digital media intellectual property issues. 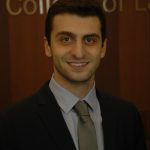 Alexander Misakian is a 2L at Chicago-Kent. He is the co-founder and current President of CSDPS. 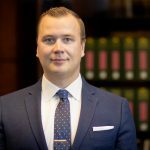 He is currently working at the law firm, Lewis Brisbois Bisgaard & Smith LLP.